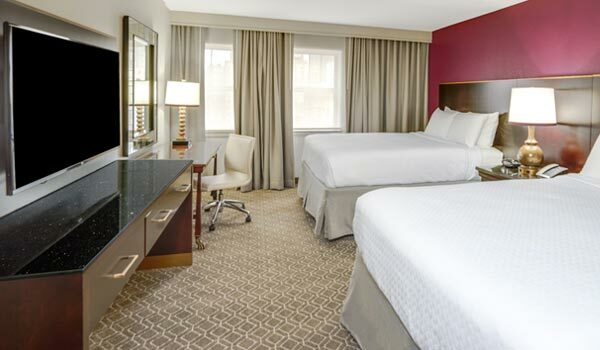 or CLICK HERE to book your room directly online. The DomCon Custom Reservation site online. You do not need a reservation code when you book online. 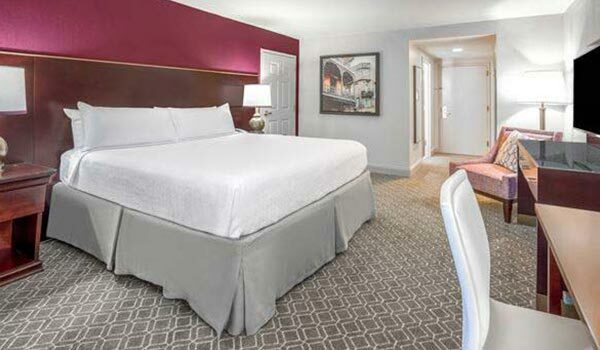 On the corner of Bourbon and Canal Street, this New Orleans hotel features on-site dining and an outdoor pool. 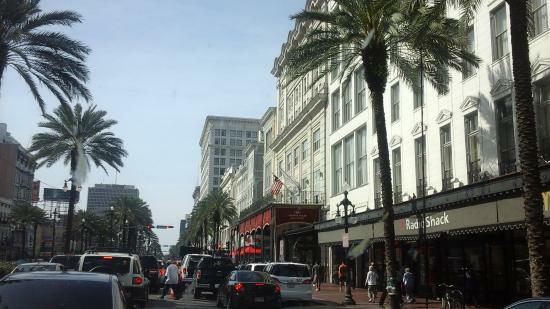 The French Quarter is a short walk away. 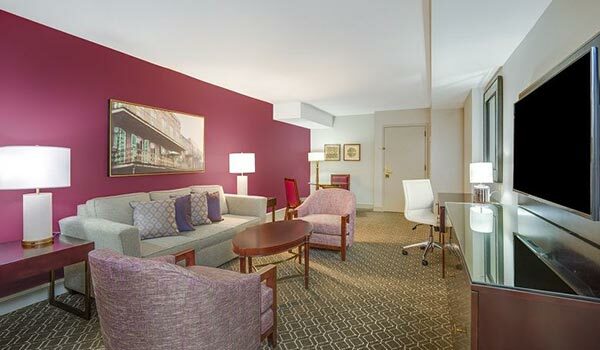 Cable TV is featured in all rooms at the Astor Crowne Plaza New Orleans. Comfortably furnished, each room has tea and coffee-making facilities. Serving fresh seafood and classic Creole cuisine, The Bourbon House provides all-day dining. After dinner, guests can relax with a cocktail in the lobby lounge. Room service is available 24 hours a day. 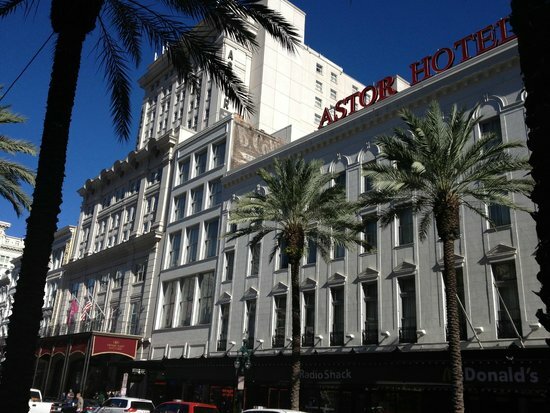 The New Orleans Astor Crowne Plaza features a 24-hour front desk. A gym is on site. A business center with fax and photocopying services and a laundromat are available. Rumored to be the oldest bar in the United States, Lafitte’s Blacksmith Shop Bar is a 12-minute walk from this hotel. Preservation Hall features great jazz music and is just a 10-minute walk away. This property is also rated for the best value in New Orleans! Guests are getting more for their money when compared to other properties in this city. Being away from home doesn’t mean you have to miss a workout. Visit the hotel’s fitness room and begin your day with yoga – mats provided – or a ride on a bike or elliptical. We offer free weights and 20 pieces of Vision Fitness + Precor equipment.